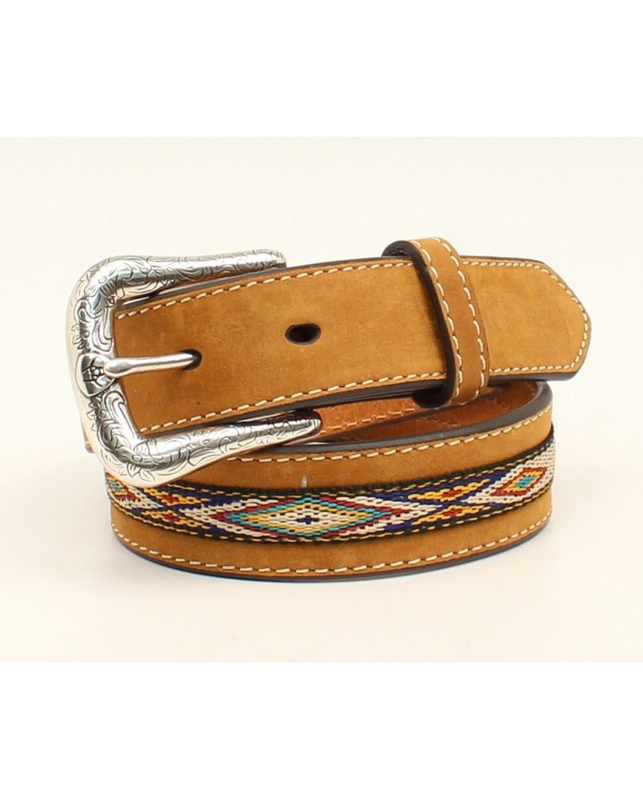 Ariat Boys Belt - 1-1/4"
This western Ariat boys belt by M&F Western Products® is perfect for casual or dressy occasions. 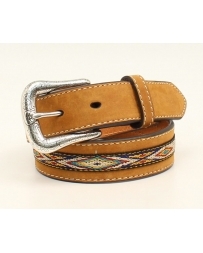 It features a rugged distressed leather strap with a western designed ribbon inlay highlighted by silver floral conchos. This belt is accented with a detailed removable buckle with the Ariat shield logo.